Makes calculating component values up to 4th order Butterworth a snap. Also includes power calculator, definitions, port tube length calculator, conversion units, ruler, and useful crossover circuits and formulas. 4-pc, 16 AWG, 14' wire with .205 and .110 terminals on one end and stripped wires on the other. For voicing and testing with the VCB-100. A self-contained variable crossover circuit (passive and analog) that lets you change components instantly by using labeled rotary switches and pre-determined network paths on a printed circuit board. It lets you create new crossover versions and modify them instantaneously, in real-time, resulting in less time testing and building multiple prototypes. This box is a must-have companion to any speaker system design or analysis software. Design, test, and modify crossovers in real-time, while listening or comparing software curves. Great for A/B testing! Eliminate countless hours of design and mock-up building time. “Tune” your home or car audio speaker system installations. Use external components with the quick-connect push terminals or select from over 85 components by using robust, long-life rotary switches. Uses an internal PCB for tight tolerances and reliable performance. Has a tough, injected molded plastic top panel with silk-screened component values to guarantee years of productive use. Is streamlined—14¼” x 10¼” x 2½”—and fits into a standard size briefcase. Has a full one-year function warranty. Procuring all the required parts and assembling the circuit by hand would cost far more in time and money than the cost of this unit. "The audio engineer’s hands-on crossover design tool." PDF CASCADING REFERENCE<-Cascade boxes to create 4th order, 6th order, 8th order, etc...infinite possibilities! * Off, On, By-Pass and Low Pass! settings. * Low-Pass crossover feature to use your speaker as a subwoofer. * 1 11/16" (H) x 6 1/4" (L) x 2 1/4" (D). Fits in standard rack mount slot height. Increase your Pro Loudspeaker power handling by up to 30% Caution! - these babies glow to soothe your loudspeaker's tired muscles. Add surge suppression to your existing set-up with this proprietary Patent Pending design from Vidsonix. This unit takes excessive power and dissipates it as light and heat that would otherwise potentially blow a speaker. It's bright, translucent red glow lets you know it's working. 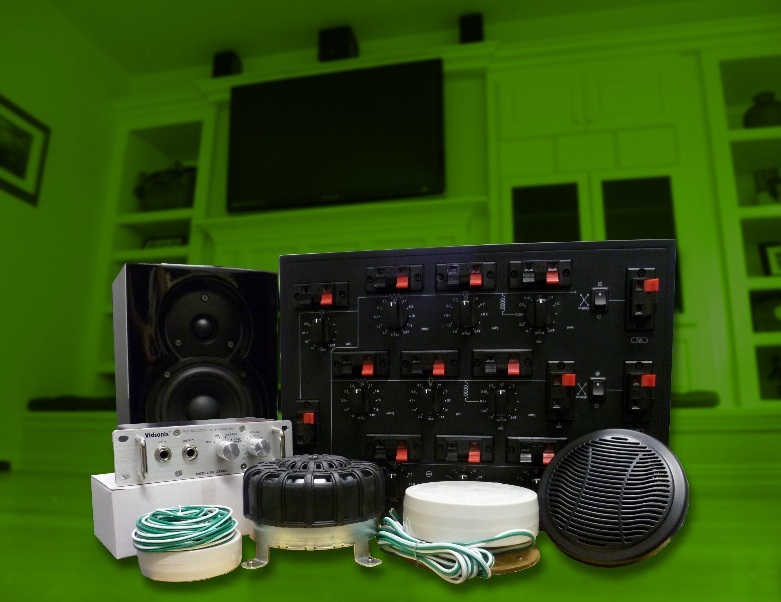 Save countless hours of headache, time and money by protecting your valuable speaker assets. 1/4"in. plug input and 1/4"in. jack input lets you put in in-line with your current system with no hassles. reserve the right to request additional shipping cost as warranted by destination. We appreciate your understanding of these terms.